My first article in my series of Armour Customization Tables (ACT) begins with the kind of armour that any aspiring delver should look to for protection before she has looted her first dragon's hoard or troll's bounty and can look to more expensive gear: The Leather Armour. 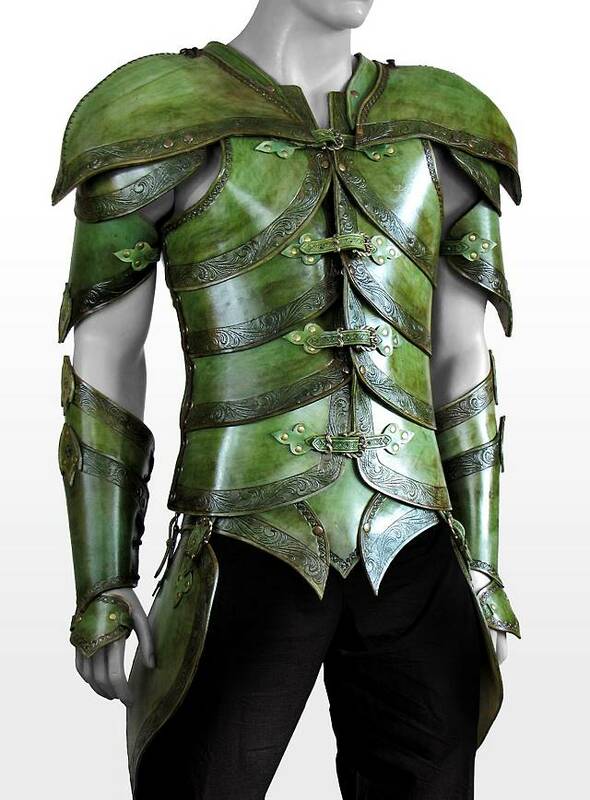 Mundane leather is the cheapest armour available and it is also usually available off the shelf unlike plate or mail armour which can take months to commission if your going for full body armour. Soft Leather Skins: flexible cured but not hardened leather or fur, basically leather clothing. Has a DR penalty of -2 to pi and imp but flexible means it can be worn under or over other kinds of armour. Hardened Leather: Cured leather skins handened and formed into plates. A little heavier than soft leather and isn't flexible but in return has no DR penalty. The hardening process makes it a little more expensive than soft leather aswell. Leather Scale or Lamell: Hardened Leather punched into scales or lamells and then riveted or laced to itself or to a leather backing. Takes a lot more time to make than Hardened Leather due to all the riveting or lacing but results in a slightly tougher(Lesser Wt / DR) piece of armour. Even to the weight of the end product differs, all three types of armour uses the same amount of raw materials which equals Wt of soft leather of the same DR and leather quality. The making of all types of mundane and exotic leather except very fine exotic leather count as artistic work which means that Work Hours are halved as long as there are at least two leatherworkers present. Mundane Leathers: Made from skins of Rabbit, Fox, Goat, Cow, Ox, Elk, Deer etc etc. Cheap and Regular quality armour made of mundane leathers is generally available off the shelves while an Apprentice (skill 9+) can make fine armour and a Journeyman (skill 12+) leatherworker will be able to make very fine quality. Price of cured mundane hides is $ 5 per lb. Exotic Leathers: Extra tough hides from exotic animals like wyvern, dire wolf, owlbear, giant ape, frost snake etc, it's up to the GM to draw the line between what counts as regular or exotic. Exotic hides could also possess small bonuses like +1 poison resistance for wyvern skin or +1 DR against cold for frost snake etc. Exotic leather is generally not available in cheap quality due to the cost of the material. At least one kind of Regular quality exotic armour is usually available off the shelves (GM’s decision what kind of exotic game there is to be found in the surroundings) while a Regular (skill 12+) leatherworker can make fine armour and a Master (skill 16+) leatherworker will be able to make very fine quality.Price of cured exotic hides varies around $ 20 per lb depending on availability of hides in the area. Otherworldly Leathers: Skin or Scales of truly fantastic beings like demon skin, pegasus hide, astral tiger fur, mermaid scales, etc. On the high end we find hide and scale of dragons. These kinds of leathers always possess magical abilites on top of Damage Resistance (like DRx3 against fire for Dragonhide/scale). 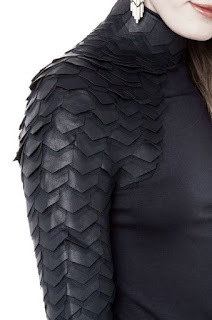 Otherworldly leathers will be elaborated in a later post. making scale lowers material cost.